“Last year I was approached by Australian Brutal Ballet if they could include our music into their upcoming ballet, Out Of The Darkness. I was more than happy to have Sarcofagus as part of this production. Sarcofagus has and always will be looking into creating experimental and progressive productions. As a film maker I had a classical ballet dancer in the music video we made for the Polish death metal band VADER for song 'Dark Age' in 1992. Even back then I thought classical ballet goes well with metal music. Brutal Ballet chose the track 'Black Contract' from Sarcofagus 1980s Envoy Of Death album, which is a very dark experimental song about what happens when you sell your soul to Lucifer. It is a perfect song for classical ballet. 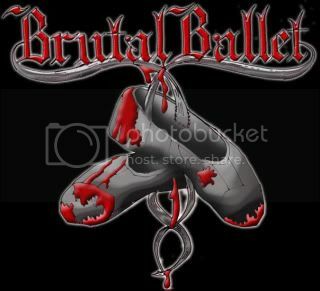 Brutal Ballet is Australia’s premiere metal ballet company, doing classical ballet to the genres of heavy metal music. Founder, choreographer and dancer, Bridie Mayfield’s unique performance style, bringing the separate sides of the dark beauty of ballet and metal together has been previously described as "a captivating visual extravaganza that would titilate an audience regardless of musical accompaniment... music and ballet comparing and contrasting with remarkable sophistication." Out Of The Darkness is a journey through the various genres of metal, from the dark and brutal to the classic and melodic, featuring music from some of the best metal bands in the world, including dance pieces to MESHUGGAH, ARCH ENEMY, SLIPKNOT, IN FLAMES, METALLICA, and DIMMU BORGIR, as well as Finland's HIM, CHILDREN OF BODOM. and the founders of Finnish metal, SARCOFAGUS. For tickets and more info go to www.brutalballet.com and www.sellosali.fi.